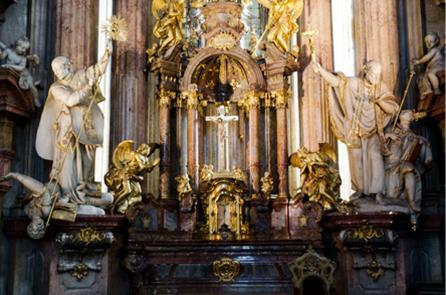 Brilliant mezzosoprano, oboe and organ in Prague´s most famous baroque church. Renowned soprano Sylva Cmugrova, a laureate of Ema Destinova’s and Antonin Dvorak’s Competition, is a soloist of State Opera Prague since 1996. She has given many concerts in Czechia as well as abroad (e.g. Japan, Canada, Italy or Australia). We bring you the Calendar of classical concerts in Prague.